In this powerful one-day workshop, teachers will learn how to plan and conduct differentiated small-group reading sessions that result in improved student achievement. During the workshop, Kristi McCullough will show teachers how to support students at their developmental level, how to engage students in authentic text, and how to provide students with targeted lessons to increase their comprehension in both literature and informational texts. • Learn how to develop a schedule where small-group reading occurs in tandem with students working independently in literacy stations. • Obtain ways to utilize teacher-led small groups during the reading block. • Understand how to interpret reading levels of students and match them to an appropriate book level. • Gain strategies to support readers at all stages of reading: emergent, early, transitional, and fluent. 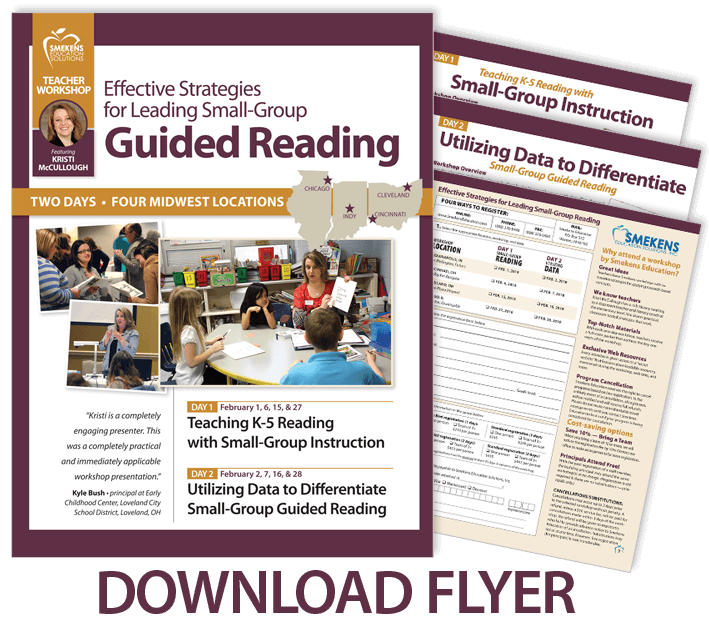 • Learn how to tie whole-group mini-lessons to small-group instruction in order to support the five components of reading. • Learn types of before, during, and after-reading strategies and how they fit into small-group reading lessons. 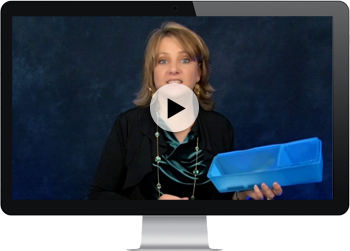 Teachers who attend this Small-Group Instruction workshop will be given a complimentary one-month subscription to Kristi's matching video on webPD, Reading: Creating & Conducting Differentiated Small Groups: Grades K-5. What are teachers saying about the Small-Group Reading workshop? Earn 3 hours of graduate credit for $375. 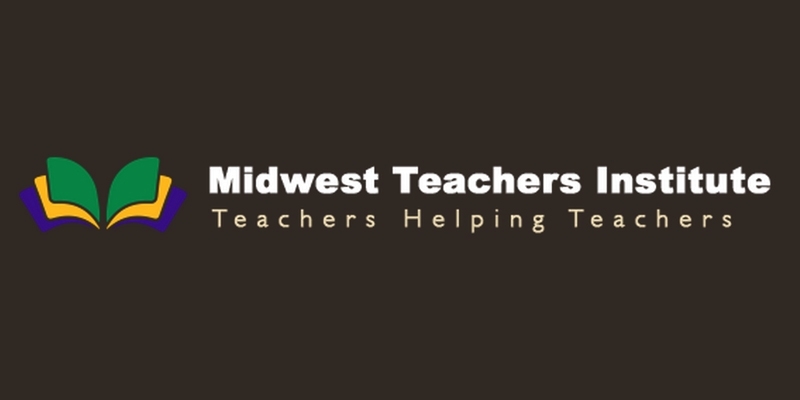 Attendees may apply the 10.5 hours of training earned during the two Small-Group Guided Reading workshops toward graduate-level credit from Midwest Teachers Institute (MTI). Graduate credit hours are for non-degree credits which are designed for professional certification renewals and salary step increases. (Check with your district for approval prior to making a commitment.) Attendance at both days of this workshop, plus additional coursework related to the workshops, is required for credit. Course syllabus: MTI 509. Register for graduate credit now. Registration information will be shared during the 10 a.m. break of each workshop. After the workshop, attendees have two weeks to apply their training hours to the program. The cost of graduate credit is separate from the cost of attending a workshop. 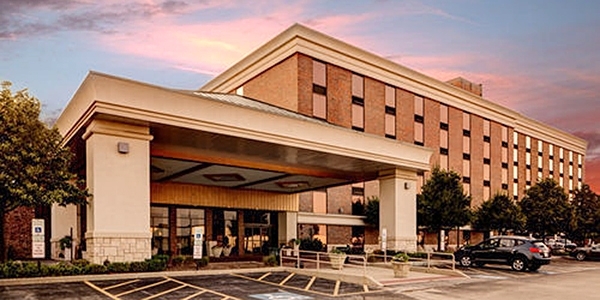 *To secure discounted room rate, mention Smekens Education and make reservations at least 30 days prior to the event. 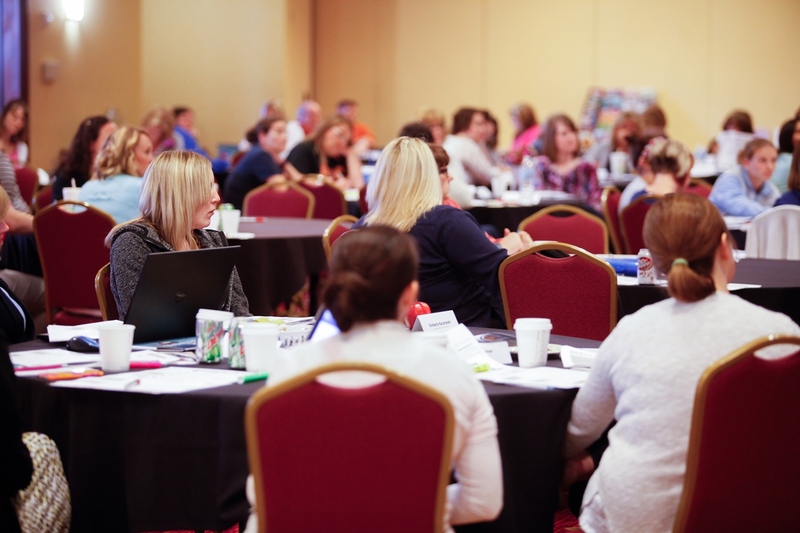 As an approved professional development subcontractor, Smekens Education is happy to provide all Illinois teachers with state-approved professional development credit for attending the Effective Strategies for Leading Small-Group Guided Reading workshop.